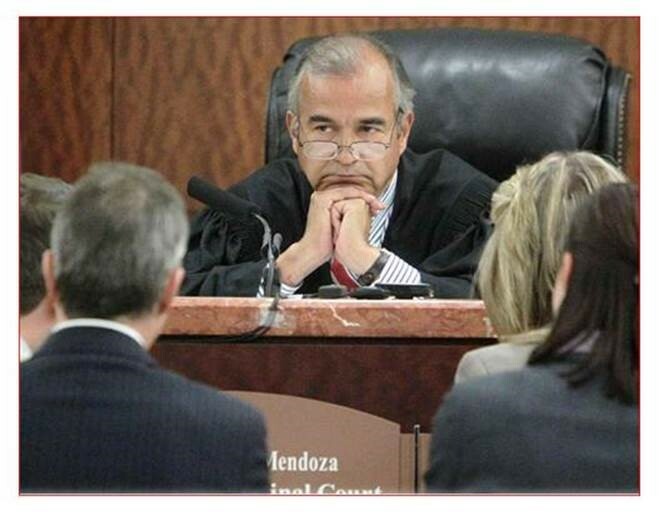 Judge David Mendoza was born in October of 1950, in Houston, Texas. He graduated from Jefferson Davis High School in 1968. He earned his B.A. from the University of Houston in 1973. In 1978, he obtained his J.D. from South Texas College of Law and was licensed to practice law in 1979. After graduating from law school, he served as a Felony Trial prosecutor under District Attorney Johnny Holmes from 1979 to 1982. From 1982 to 1986 he practiced as a criminal defense attorney. In 1984, he became Board-Certified in Criminal Law and has been re-certified as a criminal law specialist every five years since. In 1986, he was elected Judge of Harris County Criminal Court at Law No. 11, and was re-elected in 1990 to another four-year term. He served as the Presiding Judge of the County Criminal Courts at law in 1992 where he was instrumental in establishing the DWI Victim Impact Panels that have continued to this day. In 1995, after eight years on the County bench, he entered into the private practice of law as a Board-Certified Criminal Defense Attorney. In 2008 he was elected Judge of the 178th Criminal District Court of Harris County, Texas. He was re-elected as a State District Judge in 2012 to serve another four-year term. At the end of 2016, after eight years as a District Court Judge, he chose to retire. In February of 2017, Judge Mendoza came out of retirement to serve as Chief of the newly-created Professional Integrity Division at the Harris County District Attorney’s Office. In this position he serves as an advisor as to ethical and professionalism issues to over 700 HCDAO employees, including about 320 prosecutors and 90 investigators. Throughout his career as a prosecutor, defense lawyer and Judge, he has served the community in many capacities. He served as a Boy Scout Master in law school. As a young lawyer, he did the legal work to create a 501(c)3 non-profit, called The Reata Committee in 1986, a sub-committee of the Go-Texan Committee of the Houston Live Stock Show & Rodeo which in 1990 became the Go-Tejano Committee. This committee has since raised several million dollars for scholarships to many Houston-Area high school graduates. He is an HLS&R Lifetime Committee Member of the Go-Tejano Committee. He also served as President of Mexican American Bar Association of Houston and as a Director and President-elect of HisBA, both local Hispanic bar associations. He is also a Fellow of both the Houston Bar Foundation and the Texas Bar Foundation. As a 1990 graduate of Leadership Houston, he has gone on to serve on several boards of non-profits, including a stint as President of the Board of Directors of the Wesley Community Center which he attended in his youth in the near north side where he was raised. In his 40-year legal career, as a prosecutor, defense lawyer and Judge, he has personally disposed of over 45,000 Criminal cases and conducted over 500 Jury Trials. He and his wife, Laura J. Mendoza, a retired educator, who served as a classroom teacher and elementary school principal, have been married for 44 years. Together they have three adult children and four grandchildren.